Osmania University, A.P., Hyderabad is announced the B.E Results 2013 today. The Osmania University is conducted the B.E Examinations in April 2013 and today i.e., on 29th July 2013 the Examinations Branch of OU is Published the OU B.E April 2013 Results. The Osmania University is also provided the above results through online. Some Private websites got the Results CD to display the Results online. 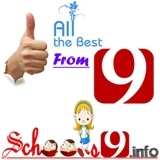 Schools9.com, Manabadi.co.in is also hosted the Results of Osmania University B.E Exam April 2013. These (2) Private Result Servers which were most popular in Andhra Pradesh are provided the Results. These (2) are Most Popular and huge searching websites for Education Results time to time across the A.P. Now today we are also providing the OU B.E April 2013 Results at our website below. You can just click on the below provided links and just enter your Hall Ticket No of B.E Examination which is conducted in April 2013. After you enter your Hall Ticket press on Submit Button. You will get the Display of that Hall Ticket No with Subject wise Marks. We are at our website provided all the sources at our website from where you can get the B.E Results. Below we are provided the links which produce the results in finger tips. All the Best to all the Students who are appeared for the examination.